After the fascinating discussion we had, over 60 of us in a #WeNurses tweetchat, about the latest evidence on when to re-site peripheral venous catheters and whether it is reflected in current practice (catch up on it in this blog if you missed it), I’m turning my attention to central venous catheters (CVCs). Infection prevention is of huge importance when it comes to vascular access devices. Micro-organisms can get into the bloodstream through the point where the skin has been penetrated and along the outer surface of the catheter, or internally through the catheter and its connectors. Minor infections at the entry site or in device connectors can lead to more serious bloodstream infections. The possible consequences include the whole gamut of infection-related miseries for the patient, including pain, anxiety, delayed treatments and a longer stay in hospital as well as greater demands on resources. In the UK, the epic3 National Evidence-Based Guidelines for Preventing Healthcare-Associated Infections should be informing practice, though I know from our tweetchat that some Trusts have policies that deviate from the recommendations. These guidelines draw on several Cochrane reviews and we also have some new and updated evidence since their publication in 2013. Here’s a round-up of Cochrane evidence. Does your practice reflect it? This is one approach to preventing catheter-related bloodstream infection (BSI). A new Cochrane review looking at whether antimicrobial-impregnated CVCs can help prevent BSI in newborns found only one small trial, not enough evidence to guide practice. Nor is there any trial data to tell us whether early removal of CVCs in neonates with BSI is beneficial, according to this review. An earlier Cochrane review found reliable evidence that antimicrobial CVCs are effective in reducing catheter colonisation and catheter-related BSI in adults, but they do not appear to reduce clinically diagnosed sepsis or deaths from all causes. There is high quality evidence that medication-impregnated dressings reduce the incidence of CVC-related BSI compared with all other dressing types. The review also found some evidence that chlorhexidine gluconate-impregnated dressings probably also reduces catheter-related BSI compared with dressings without medication. 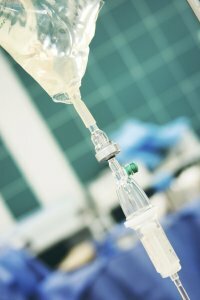 An earlier review found a four-fold increase in catheter-related BSI when a polyurethane dressing was used to secure a CVC but the included studies were at high risk of bias and there is considerable uncertainty around that estimate, which could be as high as 17-fold or as low as 2%. The tubing, or administration set, attached to venous and arterial catheters may contribute to BSI, so does the frequency with which they are changed make a difference? This was considered in a Cochrane review, which included data from 5000 people in 16 trials. There was some evidence that sets that do not contain lipids, blood or blood products may be left in place for up to 96 hours without increasing the risk of infection, but the studies were mostly of low to moderate quality which means that we can’t be certain. Another review looked at whether there is evidence that giving antibiotics before inserting a long-term CVC, or flushing or locking it with an antibiotic plus heparin solution, can help prevent Gram-positive catheter-related infections in adults and children being treated for cancer. It showed that flushing the catheter with an antibiotic and heparin solution probably reduces the number of catheter-related infections. Giving antibiotics prior to catheter insertion does not seem to be helpful. A Cochrane review published last year found no conclusive evidence that flushing CVCs with heparin was more effective for preventing occlusion than flushing with saline. With its potential risks and higher costs, the reviewers called into question its use for this purpose outside trials. Other recent reviews have highlighted gaps in the evidence on how to prolong the patency of CVCs in children. 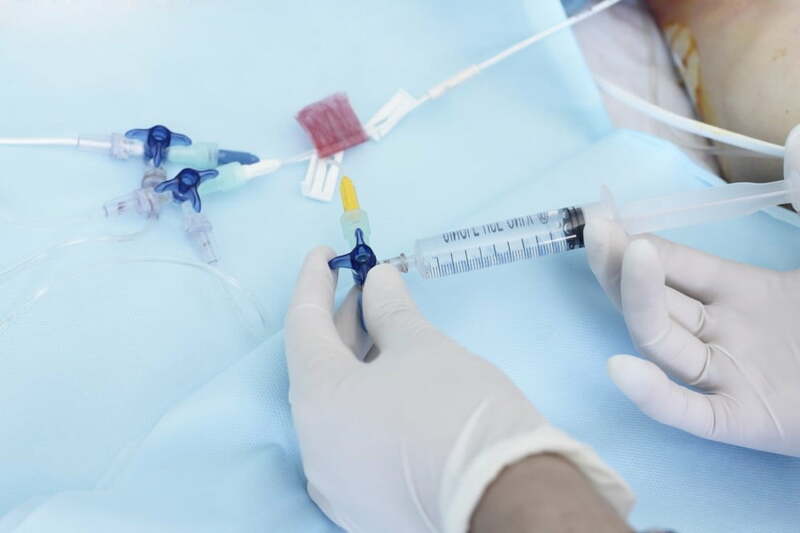 It is unclear how heparin and saline flushes compare and whether heparin-bonded catheters remain patent for any longer than standard catheters. I’d be really interested to hear what you do in your workplace. You can leave a comment here or find me on Twitter @SarahChapman30 and @UKCochraneCentr. The hashtag for the series is #EENursing. Do catch up with the evidence on when to replace peripheral venous catheters, and what’s happening in practice, in my blogs about the evidence and on the tweetchat. 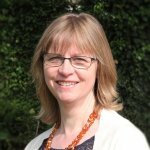 Infection prevention and central venous catheters: evidence round-up by Sarah Chapman is licensed under a Creative Commons Attribution-NoDerivatives 4.0 International License. You can find excellent, evidence-based information about vascular access devices on the website of AVATAR (Alliance for Vascular Access Teaching and Research), which is based at Griffith University, Brisbane, Australia and led by Cochrane author Professor Claire Rickard. Ullman AJ, Cooke ML, Mitchell M, Lin F, New K, Long DA, Mihala G, Rickard CM. Dressings and securement devices for central venous catheters (CVC). Cochrane Database of Systematic Reviews 2015, Issue 9. Art. No. : CD010367. DOI: 10.1002/14651858.CD010367.pub2. Webster J, Gillies D, O’Riordan E, Sherriff KL, Rickard CM. Gauze and tape and transparent polyurethane dressings for central venous catheters. Cochrane Database of Systematic Reviews 2011, Issue 11. Art. No. : CD003827. DOI: 10.1002/14651858.CD003827.pub2. Lai NM, Chaiyakunapruk N, Lai NA, O’Riordan E, Pau WSC, Saint S. Catheter impregnation, coating or bonding for reducing central venous catheter-related infections in adults. Cochrane Database of Systematic Reviews 2016, Issue 3. Art. No. : CD007878. DOI: 10.1002/14651858.CD007878.pub3. Ullman AJ, Cooke ML, Gillies D, Marsh NM, Daud A, McGrail MR, O’Riordan E, Rickard CM. Optimal timing for intravascular administration set replacement. Cochrane Database of Systematic Reviews 2013, Issue 9. Art. No. : CD003588. DOI: 10.1002/14651858.CD003588.pub3. van de Wetering MD, van Woensel JBM, Lawrie TA. Prophylactic antibiotics for preventing Gram positive infections associated with long-term central venous catheters in oncology patients. Cochrane Database of Systematic Reviews 2013, Issue 11. Art. No. : CD003295. DOI: 10.1002/14651858.CD003295.pub3. Bradford NK, Edwards RM, Chan RJ. Heparin versus 0.9% sodium chloride intermittent flushing for the prevention of occlusion in long term central venous catheters in infants and children. Cochrane Database of Systematic Reviews 2015, Issue 11. Art. No. : CD010996. DOI: 10.1002/14651858.CD010996.pub2. Shah PS, Shah N. Heparin-bonded catheters for prolonging the patency of central venous catheters in children. Cochrane Database of Systematic Reviews 2014, Issue 2. Art. No. : CD005983. DOI: 10.1002/14651858.CD005983.pub3.